Bert Gallery is a Providence-based gallery founded in 1985 to showcase and preserve the rich art tradition of Rhode Island and the region. The gallery concentrates on the rediscovery of historically significant artists reflecting major styles and movements in American Art. 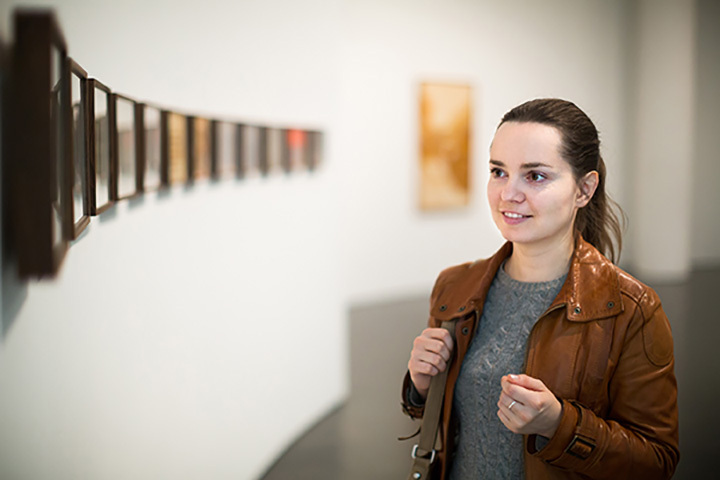 Bert Gallery offers rotating exhibits and an extensive inventory of paintings, drawings and prints from the late 19th century to present, with a strong emphasis from 1880 - 1950. Catherine Little Bert, director and owner of Bert Gallery, has passionately researched and written on the subject of Rhode Island and regional artists. An active member in the Providence arts community, she has mounted over 100 exhibits during thirty years of business investigating and exploring historical artists and their alignment in the cannon of American art. Catherine Little Bert graduated from Providence College and the University of Connecticut. She has a Certificate in Appraisal Studies in Fine and Decorative Arts from New York University and is a certified appraiser in the Uniform Standards of Professional Appraisal Practice (USPAP). Bert has contributed to the publication Infinite Radius: Founding Rhode Island School of Design. Sketches, an art journal funded by the Rhode Island Committee for the Humanities and co-authored with LJ McElroy, includes research by Bert on the early Providence Art Club artists and the important Rhode Island women artists of the 19th century. Recent lectures include “Nancy Elizabeth Prophet (1890 - 1960)” at the Providence Athenaeum, “The Magical Realism of Louise Marianetti” at the North Providence Historical Society, “The Myth of Sydney Burleigh” at the Little Compton Historical Society and “Artists and Patrons of the 1901 Arts and Crafts Exhibition” at the Providence Art Club. Bert is on the Board of Trustees at Providence College and on the National Advisory Board at the National Museum of Women in the Arts (NMWA) in Washington, DC. In the past she has served as a Board of Trustee at the Rhode Island Historical Society, Co-President of Gallery Night Providence and Chair of the National Advisory Board at NMWA. She has consulted at the American College of Greece, in Athens and on exhibitions at the Fall River Historical Society, Rhode Island Historical Society, Newport Art Museum and the National Museum of Women in the Arts.